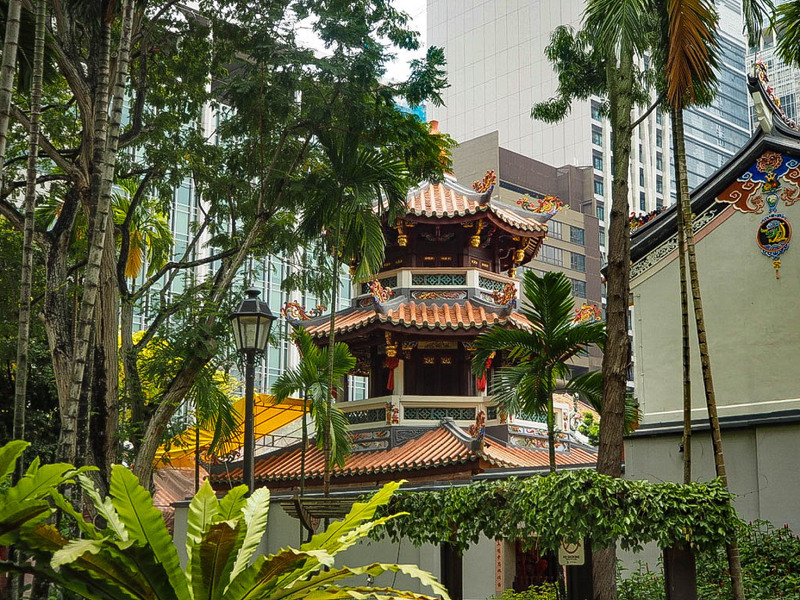 Chinatown is undeniably the most vibrant area of Singapore to explore. I had amazing food there numerous times (including Kaya toast for breakfast and red chilli crab at dinner), and my love for the colourful shutters on all the buildings in the neighbourhood is certainly no secret. 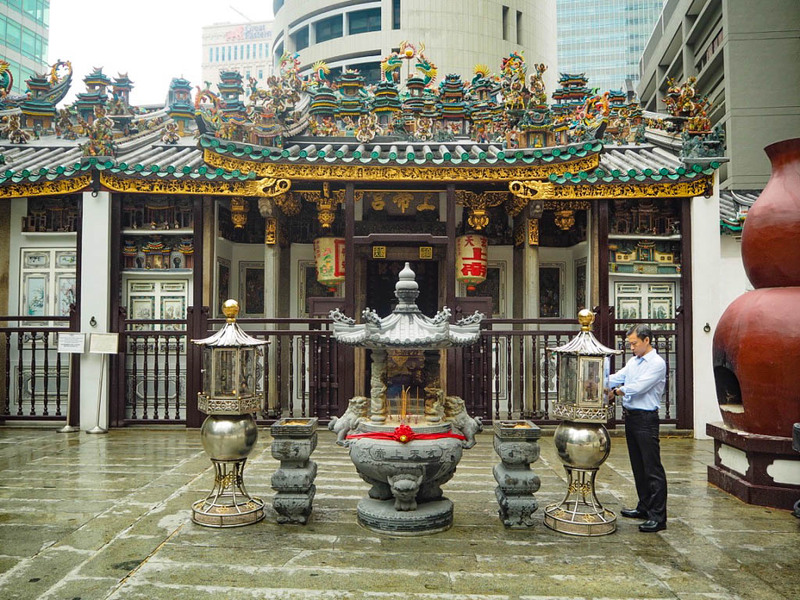 Hidden within the warren-like streets, looked down on by high rise offices and residences, there are some beautiful temples. 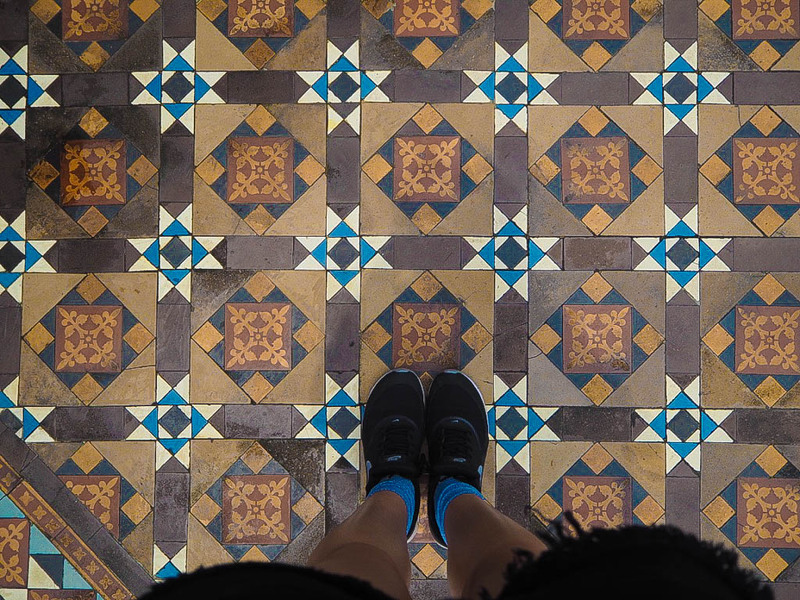 I highly recommend spending a day exploring all of them, because despite their similarities, they are all wonderfully unique and a great escape from the busy streets of Singapore. 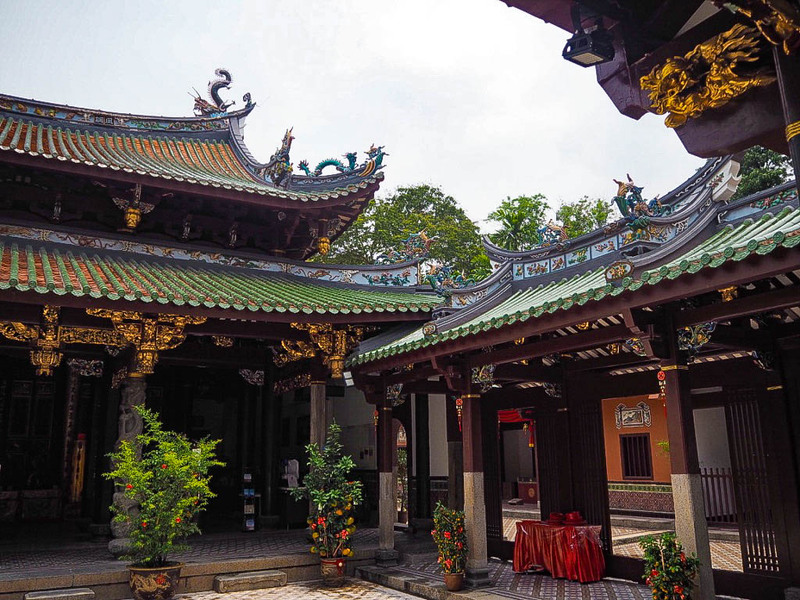 This little Taoist temple is hidden on a bustling road, sheltered by a huge tree and a surrounding stone wall. 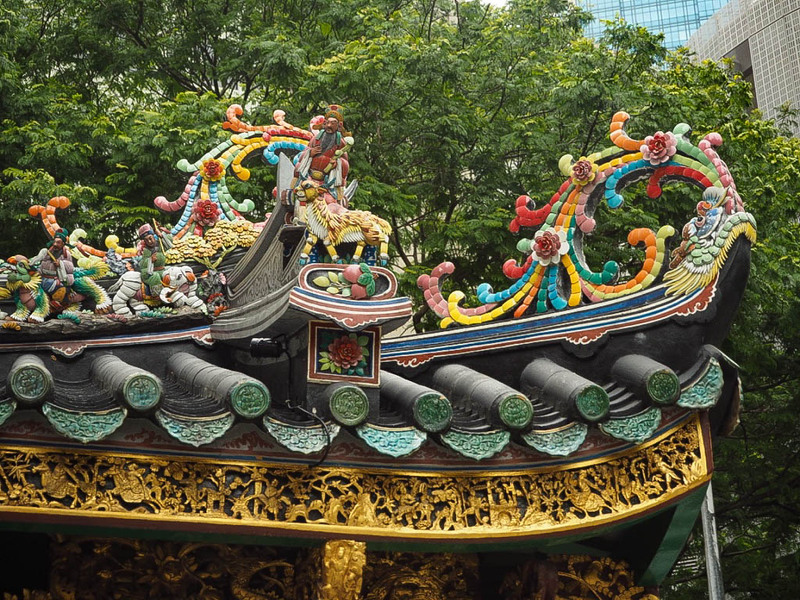 It’s very small compraed to most other temples and doesn’t look like much until you take a closer look at the beautiful detailing on the roof. Photos aren’t allowed inside so you really need to visit to appreciate the stunning depictions of Chinese opera within. 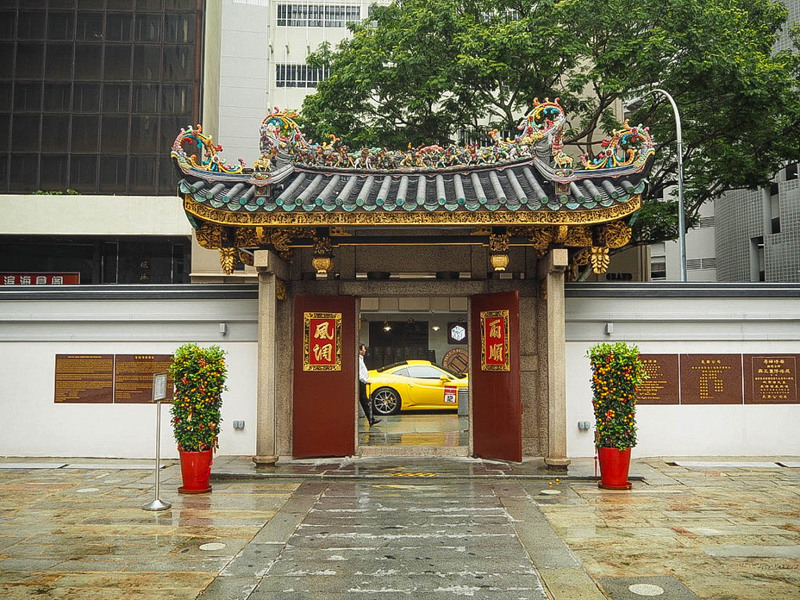 This was my favourite temple in Singapore. It’s lavishly decorated, is a maze of rooms and walkways, and the quiet hum of people inside shows that the temple is alice and working. 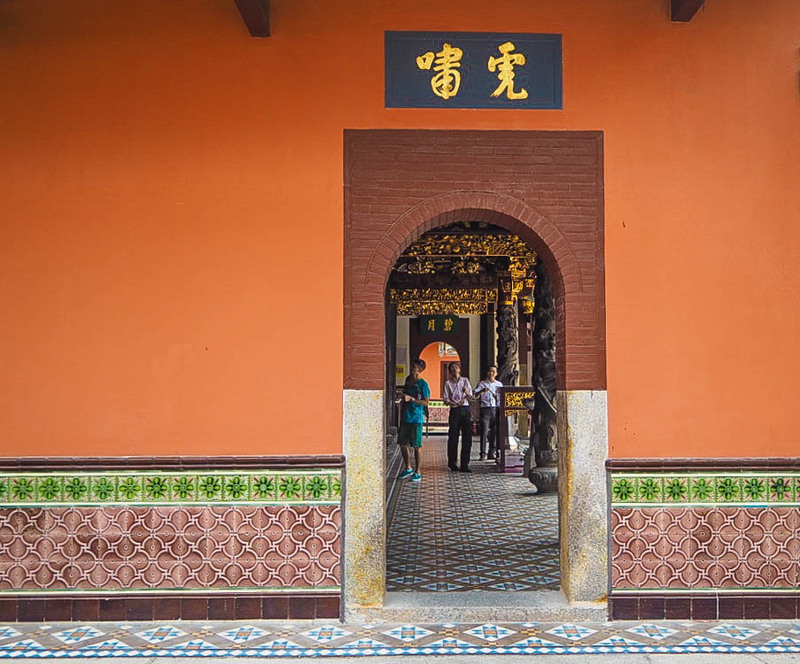 It has the most wonderfully intricate tiles throughout, and was still decorated with hundreds of lanterns after the recent Chinese New Year. Despite being in the middle of super busy Chinatown, it is blissfully quiet inside and totally serene. 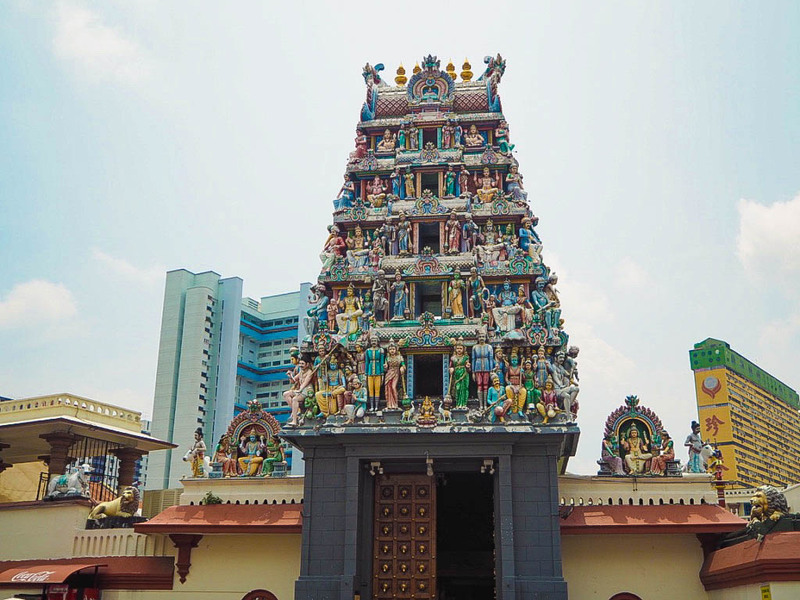 Despite being in Chinatown, this is Singapore’s oldest Hindu temple. 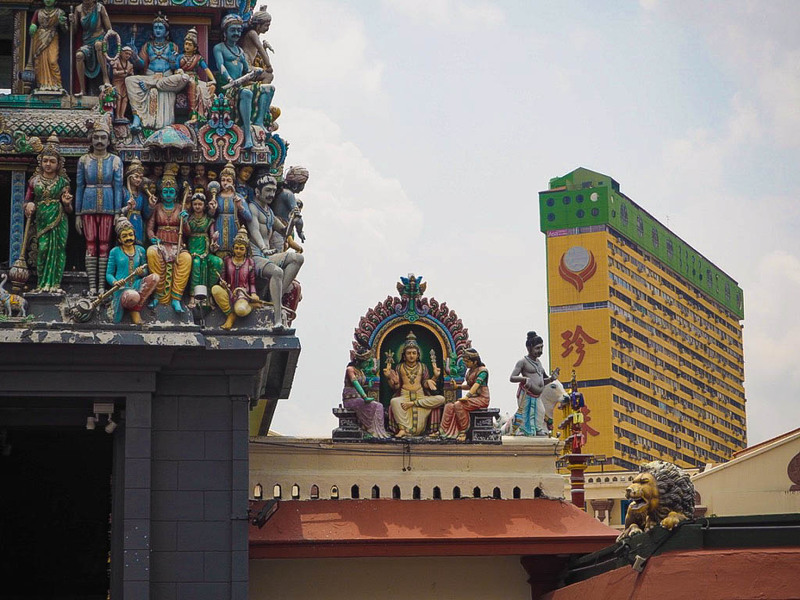 There is a similarly designed temple in Kuala Lumpur called Sri Mahamariamman and it is really striking. The tower at the front is incredibly detailed and you could look at it for hours and not spot every nuance. Apparently in October, people run over hot coals in front of it which I’d love to see! It is often thought that once you’ve seen one temple, you’ve seen them all but it’s just not true. 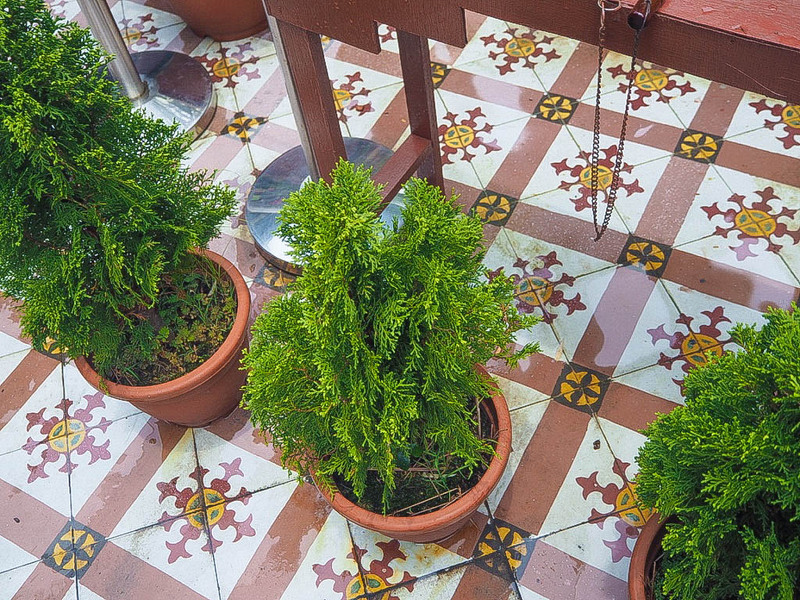 Even if you just pop in for a few minutes, you can’t deny that the beauty within each building is totally worth seeking out.